I’ve been on the Rhys mailing list for a few years. A lot of people knock the wines because they don’t taste great upon release. Rhys wines require a few years in the cellar to smoothen out and open up. This wine has 13.3% alcohol and the bottle is sealed with a natural cork. 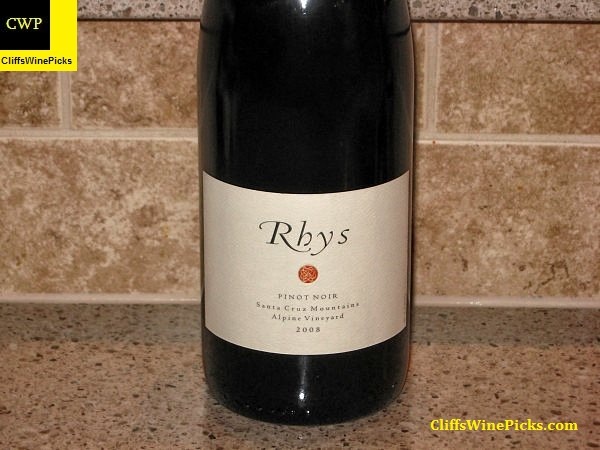 At Rhys Vineyards we aspire to make great Pinot Noir, Chardonnay and Syrah from some of California’s most unique and expressive vineyards. This pursuit has lead us to search the state for exciting rocky soils that exist within the mountainous, cool, Coastal climate zone. Over the last 15 years we have developed seven estate vineyards, six in the Santa Cruz Mountains and one in Anderson Valley, each of which is capable of producing uniquely compelling, distinctive, soil driven wine. More information on Rhys is available on their website. For the last few years I’ve felt Big Basin was one of the wineries to keep an eye on. I think they are one big score away from popping onto most wine drinker’s radar. Could they become the next Saxum? In my opinion, the sky is the limit for this winery. This is a blend of 57% Santa Cruz County Syrah and 43% Monterrey County Cabernet Sauvignon. The wine has 15.5% alcohol and the bottle is sealed with a natural cork. Big Basin Vineyards was founded in 1998 in the Santa Cruz Mountains next to Big Basin Redwoods State Park, with a new winery building completed in 2003. Proprietor and wine maker Bradley Brown sources his wines from three Estate Vineyards – Rattlesnake Rock, Old Corral Block and Homestead Block. All of the Estate vineyards are planted to Alban Selections on steep hillsides with mudstone and shale soils – 7 acres of Syrah, 2 acres of Grenache and 1 acre of Roussanne – and are farmed organically. Additionally, Bradley works closely with Coastview Vineyard located at 2400 ft on a mountain top in the Gabilan Mountains overlooking the Salinas Valley and Monterey Bay (several miles due south of Mt. Harlan). He has contracted with the vineyard to purchase Syrah planted in 1998 and to bud over certain sections of the vineyard to Pinot Noir and Grenache (in 2008) and plant a new block to an Alban selection of Syrah. This vineyard is also farmed organically and managed according to Bradley’s direction. 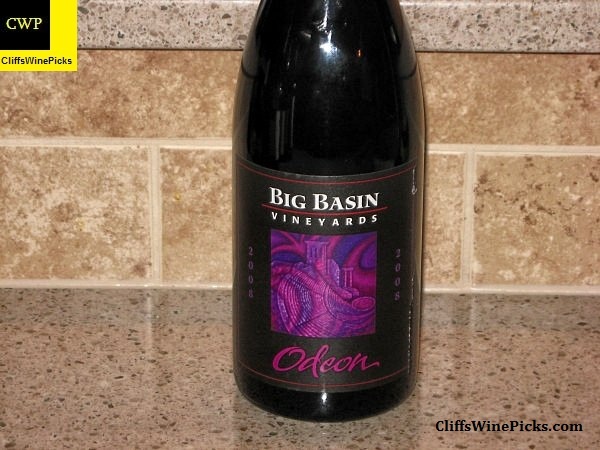 Beginning in 2006, Big Basin started making Pinot Noir sourced from the Santa Cruz Mountains. As of 2009, Big Basin is making three different single vineyard Pinots from the Santa Cruz Mountains (Alfaro Family, Lester Family and Woodruff Family Vineyards), plus the Pinot from Coastview Vineyard in the Gabilan Mountains. Much more information is available on their website. I grabbed a bottle of this after trying the winery’s Bricks & Mortar blend at an online tasting of Lodi wines. If your opinion of wines from Lodi is based on some of the big, industrial, high volume wineries, take my advice and seek out something from one of the smaller, family owned producers. This wine has 14.9% alcohol and the bottle is sealed with a natural cork. The Felten Family own and manage fifteen individual vineyard blocks of “Old Vine” Zinfandel that range in age from 40 to 120 years old. Each vineyard is planted in sandy loam soils in the Mokelumne River Appellation of Lodi and the Clements Foothills. In the nineties, the family began to market their zinfandel in the bulk wine market, selling to a number of prestigious, benchmark producers of Zinfandel in Napa and Sonoma Counties. 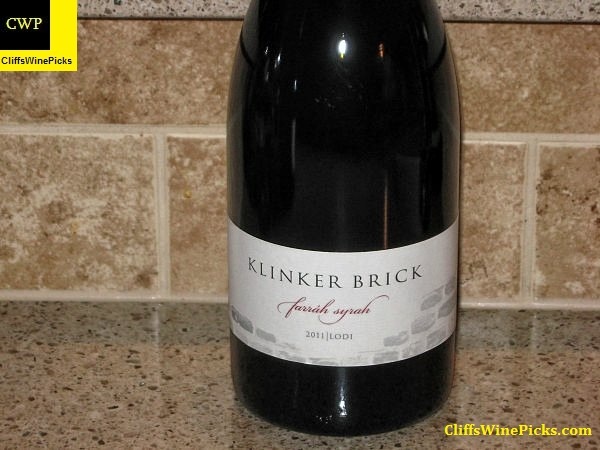 In 2000, Steve and Lori produced their first vintage of Klinker Brick Old Vine Zinfandel. They continue to produce wine from all of the vineyard blocks, culling only the very best lots for bottling Klinker Brick Old Vine Zinfandel and designated vineyard wines. They produced their first vintage of Farrah Syrah in 2001. They have one goal…to produce world-class wine. Much more information is available on the winery’s website by clicking here. This is another mailing list only wine that I was fortunate to join before they started getting high scores from the wine publications. The “rock star” winemaker, Helen Keplinger. I bought several bottles of this wine, but have been patient long enough, one gets popped tonight. This wine is a blend of 46% Mourvedre, 40% Grenache and 14% Syrah from Amador County. The wine has 14.8% alcohol by volume and the bottle is sealed with a natural cork. The culture of wine has been a part of my life since I can remember. My dad had a wine cellar, which was the source of my childhood wine bottle collection – I also collected rocks, an early indication of my future as a winegrower. Wine accompanied every gourmet dinner my mom prepared nightly; this combination of food and wine was an important part of our family evenings together. I always had an intense curiosity for science, a huge appreciation of art, and a gravitation toward and revitalization in nature – all which dynamically come together in winemaking. In 1998, I moved to California to attend the MS program in Enology at UCDavis. Since UC Davis, I have worked with Heidi Barrett, Kathy Joseph, Michel Rolland, and David Abreu. Since 2004, I have been the winemaker for some exciting projects, including Cellers Melis (Priorat), Kenzo Estate, Fort Ross, Sarocka, Scullly, Arrow & Branch, and Bryant Family Vineyards. 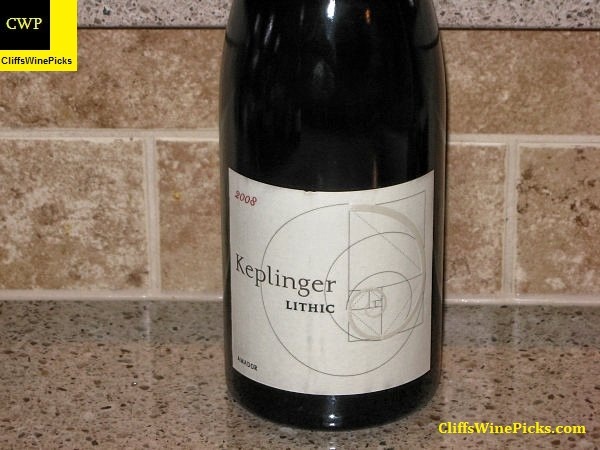 I am currently focused solely on Keplinger Wines. I absolutely love what I do – I constantly strive to make great wines, respond to the curveballs of Mother Nature, and respect that each wine is a reflection not only of its origin, but the variables and characteristics of a particular vintage. More information on the winery, their wines and access to the mailing list is available on their website by clicking here.